Why Should I Consider a Sleep Study? Sleep studies are tests that are performed at sleep clinics that measure how well you sleep and how your body responds to sleep problems. These tests can help your doctor find out whether you have a sleep disorder and how severe it is. Feeling tired during the day due to lack of sleep can lead to a number of negative consequences. A sleep study could put you on the fast-track to fixing the problem. Sleep studies are important because untreated sleep disorders can raise your risk for heart disease, high blood pressure, stroke, and other medical conditions. Sleep disorders also have been linked to an increased risk of injury, such as falling (in the elderly) and car accidents. Why do you need to have a sleep study performed? The most basic answer is that people usually aren’t aware of their breathing and movements while sleeping, and they lack the tools for proper measurement. Sleep disorders can be treated. 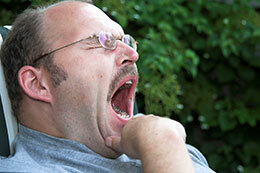 Talk with your doctor if you snore regularly or feel very tired during the day. You also may want to talk with your doctor if you often have trouble falling or staying asleep, or if you wake up too early and aren’t able to go back to sleep. These are common signs of a sleep disorder. Your doctor might be able to diagnose a sleep disorder based on your sleep schedule and habits. However, he or she also might need the results from sleep studies and other medical tests to diagnose a sleep disorder. This article was posted in Blog and tagged baltimore, breathing disorder, d.c., diagnosis, doctor, maryland, narcolepsy, seizures, sleep apnea, sleep study, tiredness, treatment, virginia. © 2019 My Sleep Apnea MD. All Rights Reserved.